Enjoy an incredibly serene meal lakeside at Lexington Green. 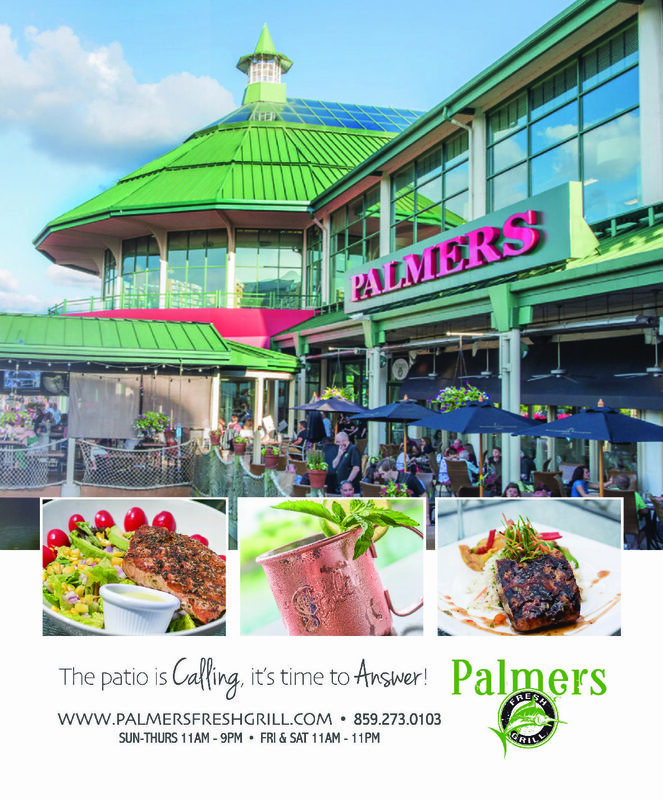 Palmers Fresh Grill is located lakeside at Lexington Green. Palmers offers fresh food, an award-winning wine list and live music. Diners can choose to sit in the 4,000-sq. foot dining room or lakeside on the patio. Menu options include a variety of prime cut steaks, fresh seafood, pasta, soups, greens, and sandwiches. Using woodfire grilling and slow roasting, Palmers creates its savory, signature dishes. Click here to check out the menu and make a reservation https://www.palmersfreshgrill.com/or call 859.273.0103.